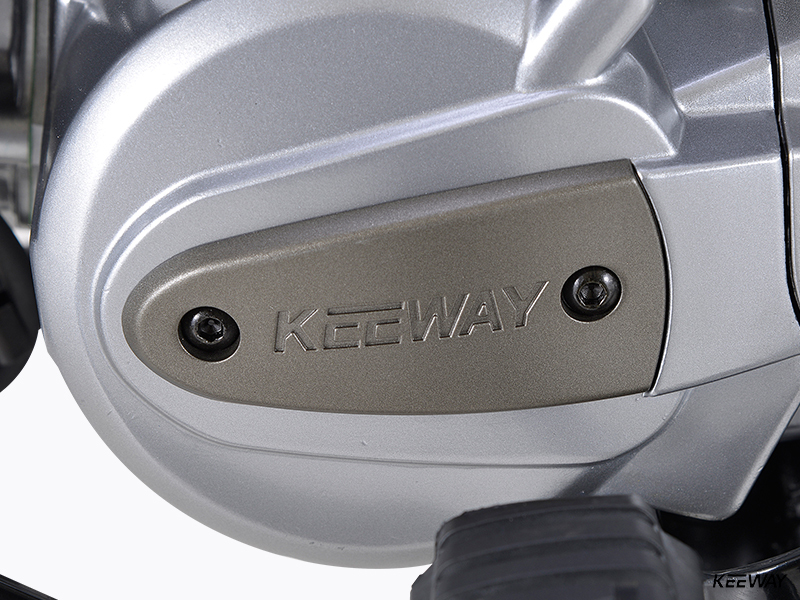 Keeway’s CS 110 pays homage to the traditional Cub design, but adds plenty of modern technology to the mix. 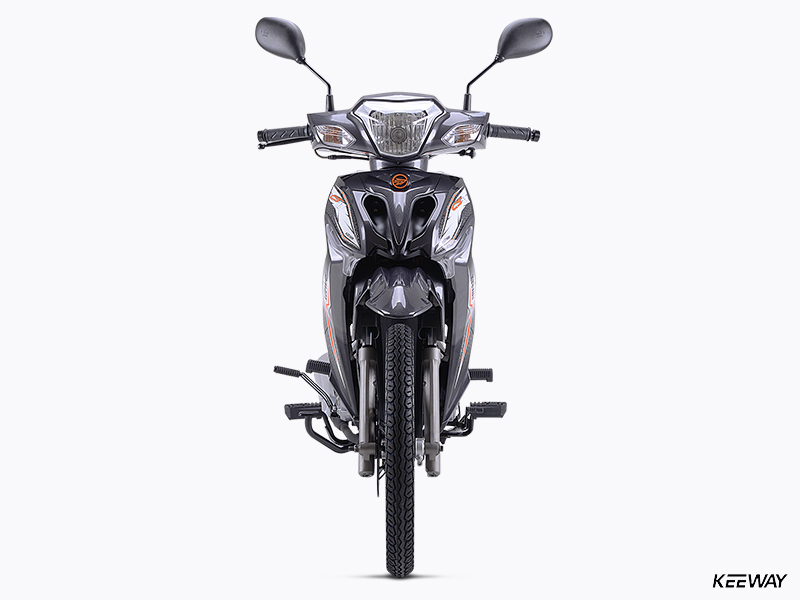 It all begins with our 109cc air-cooled single-cylinder four-stroke, which sips fuel, is extremely quiet, and offers years and years of dependable, worry-free service. 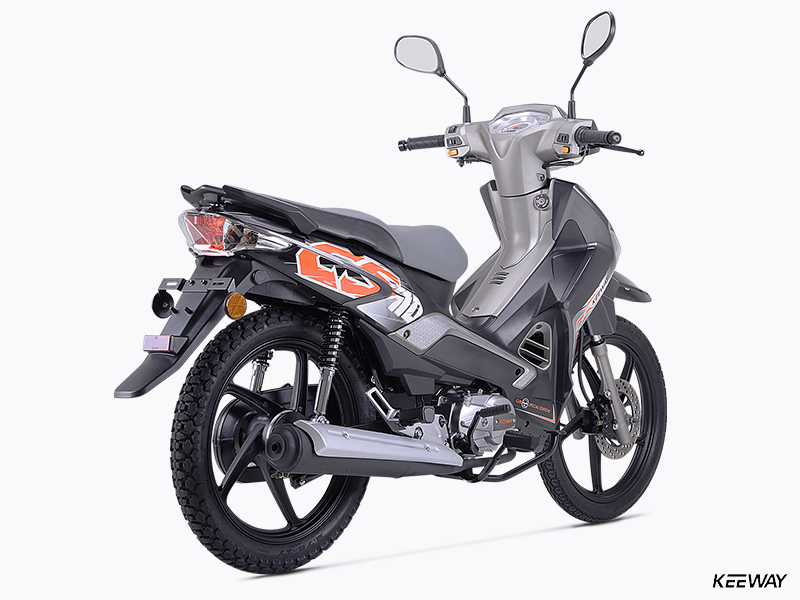 The step-though design offers easy on/off use, and while aboard, riders will enjoy the roomy riding position, slim design, comfy seat and smooth operation, which is helped along by twin shocks in back and a modern telescopic fork. 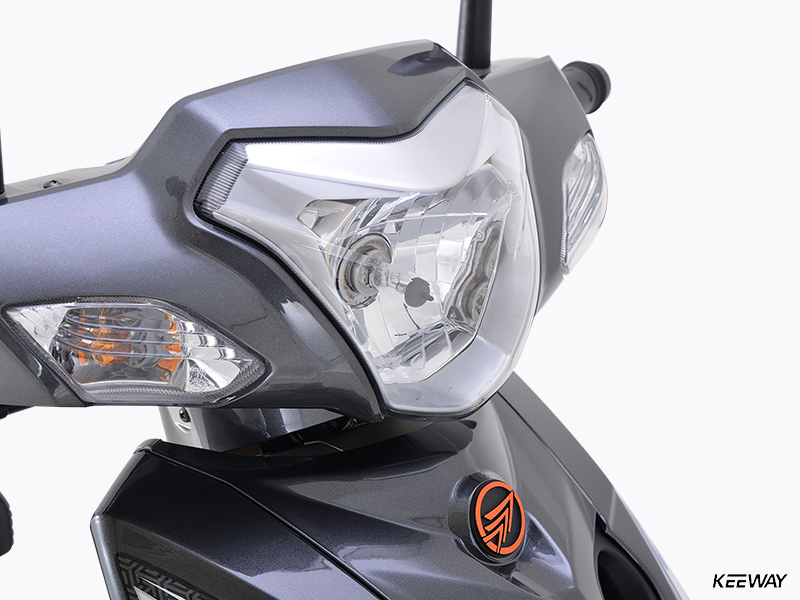 There’s even a powerful disc brake up front. 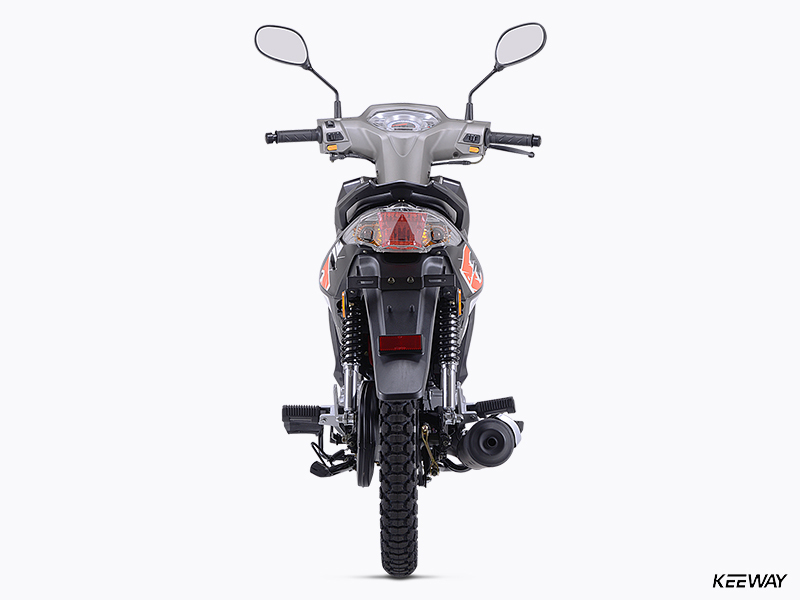 What the CS lacks in frills it certainly makes up for in bang-for-the-buck value and durable operation. 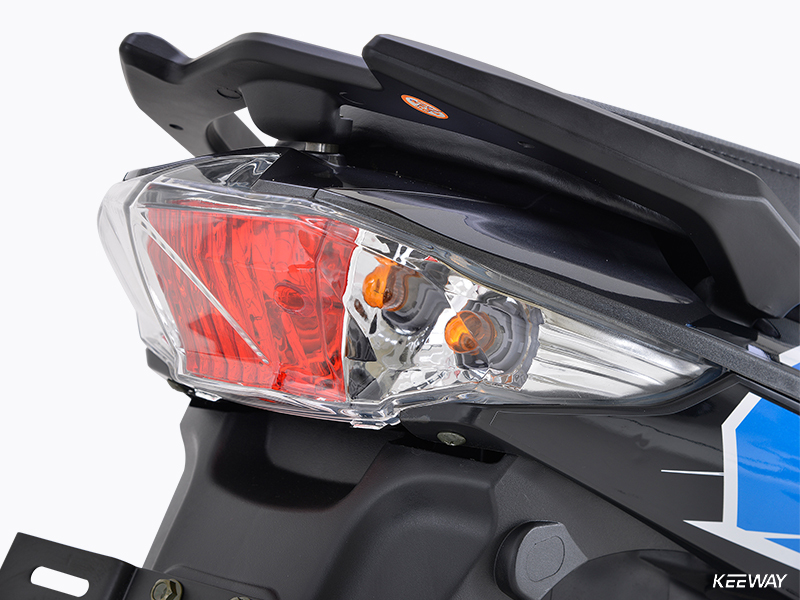 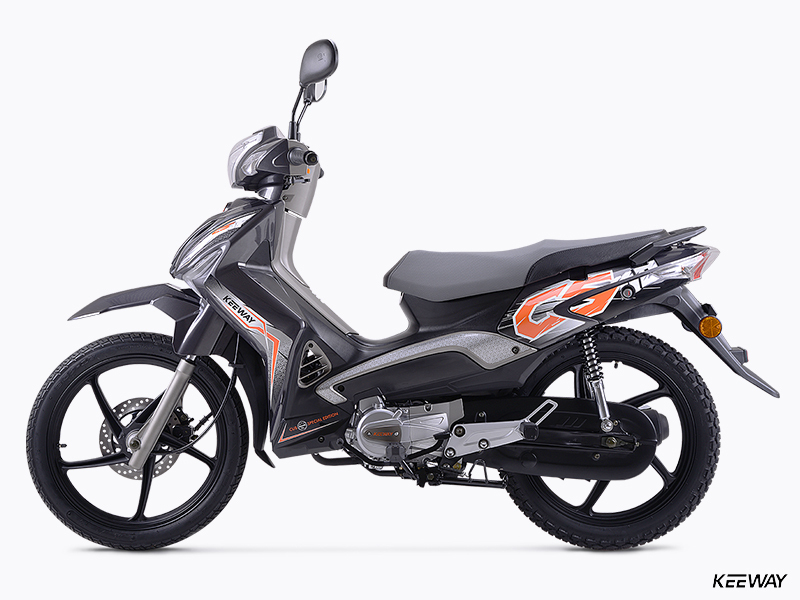 So whether you use it for work or play, Keeway’s CS 110 is a cub-style motorbike you can depend on, day in and day out. 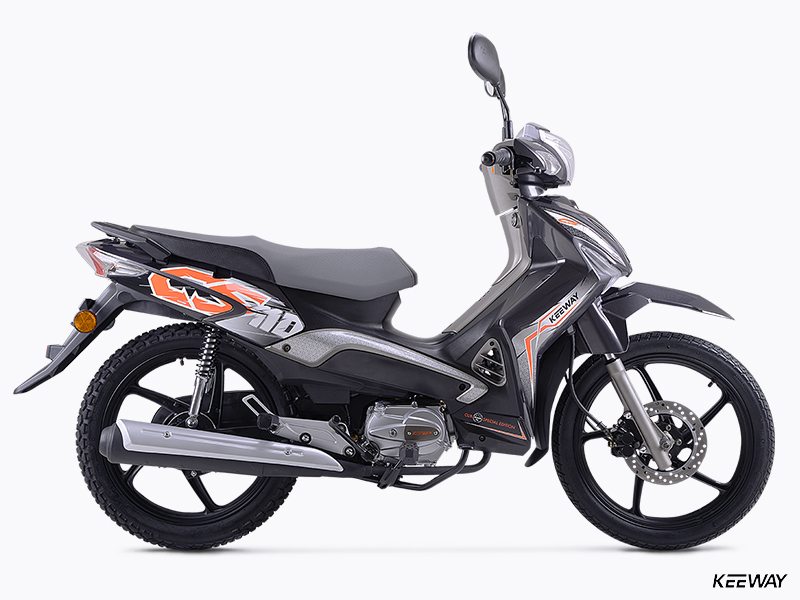 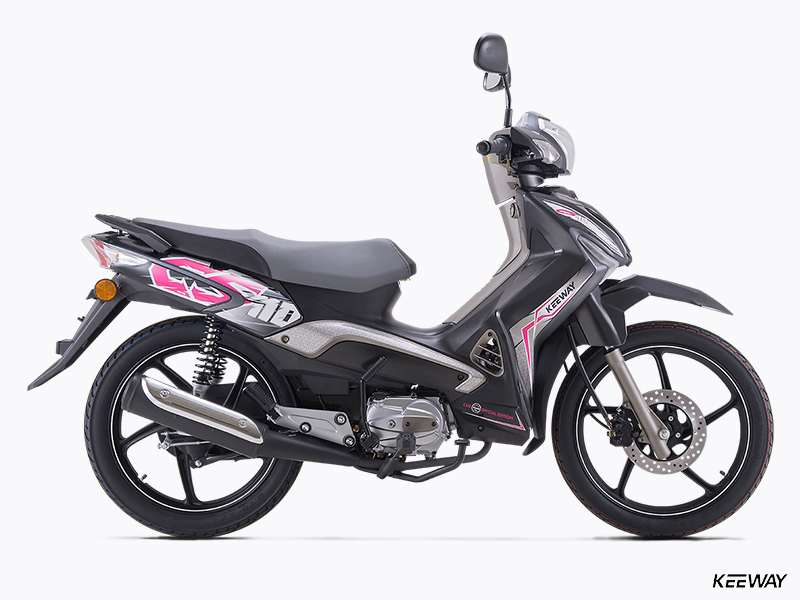 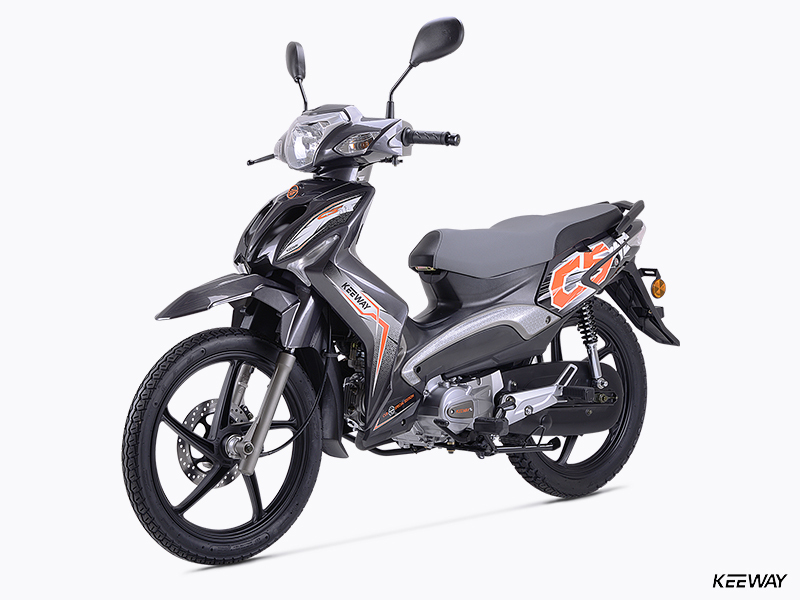 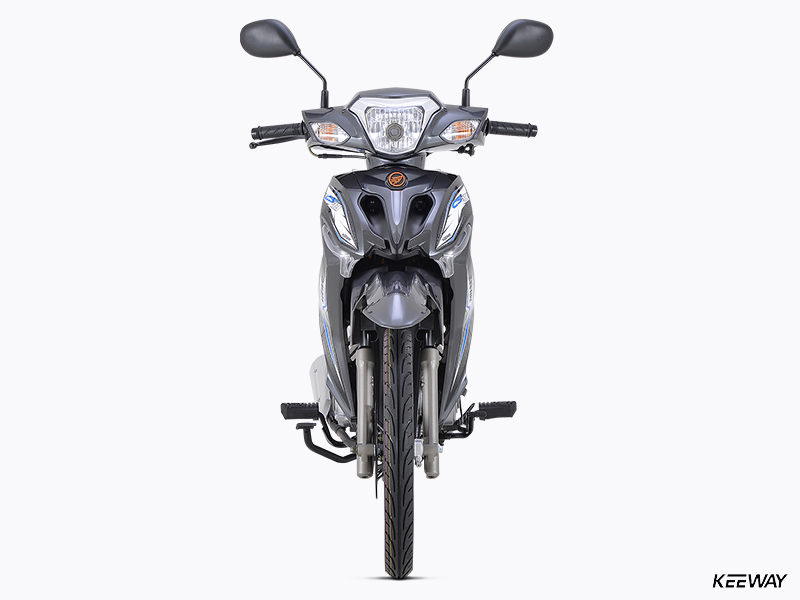 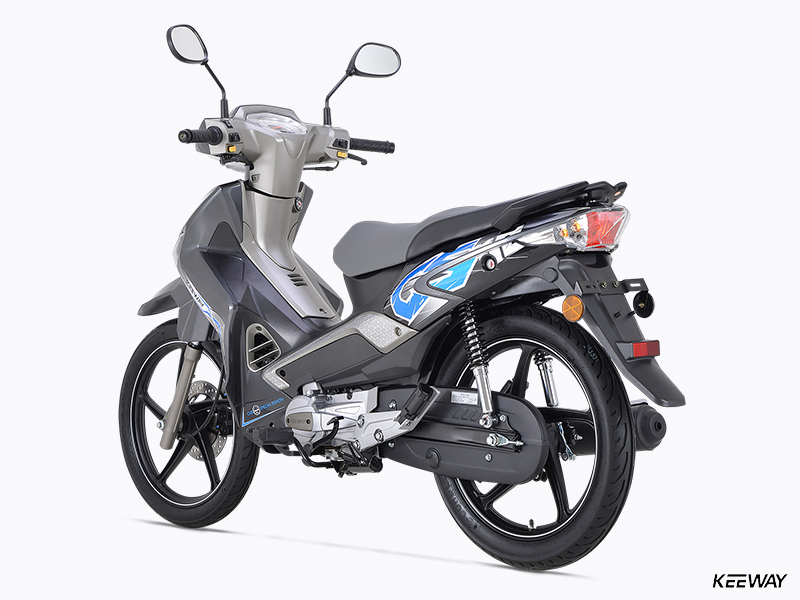 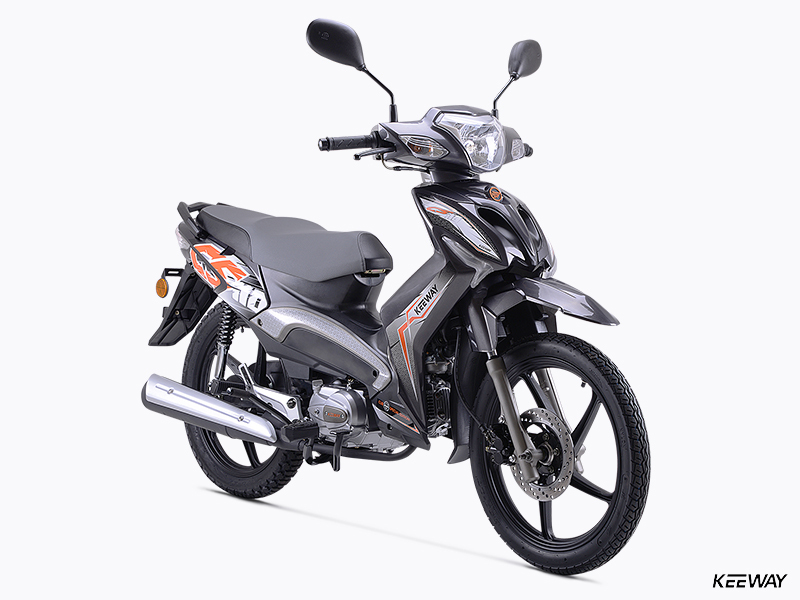 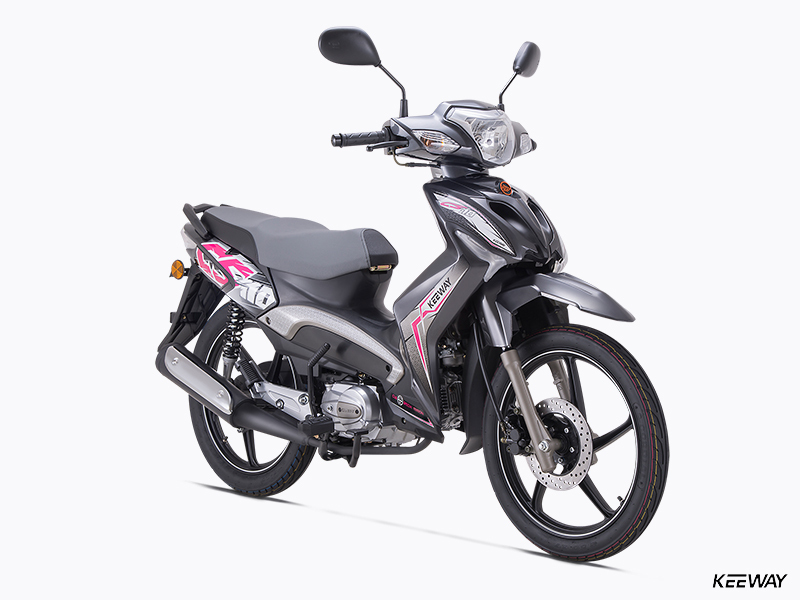 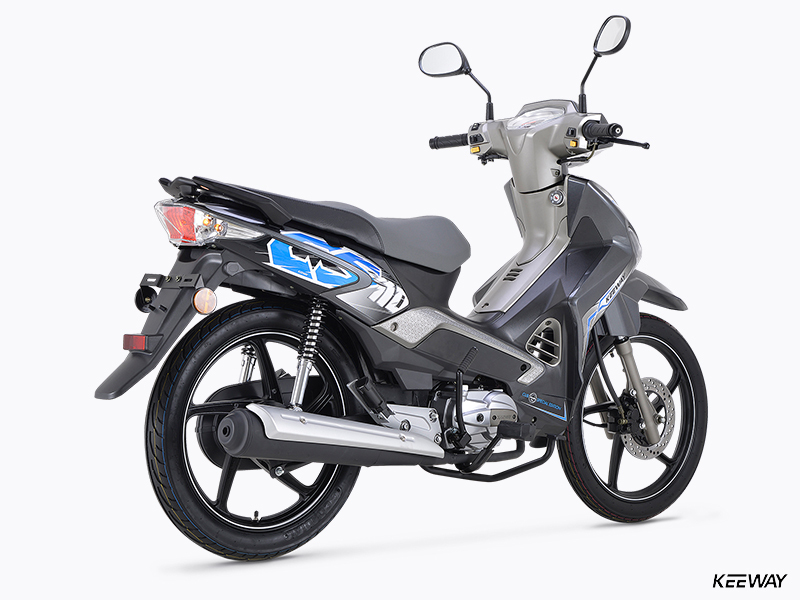 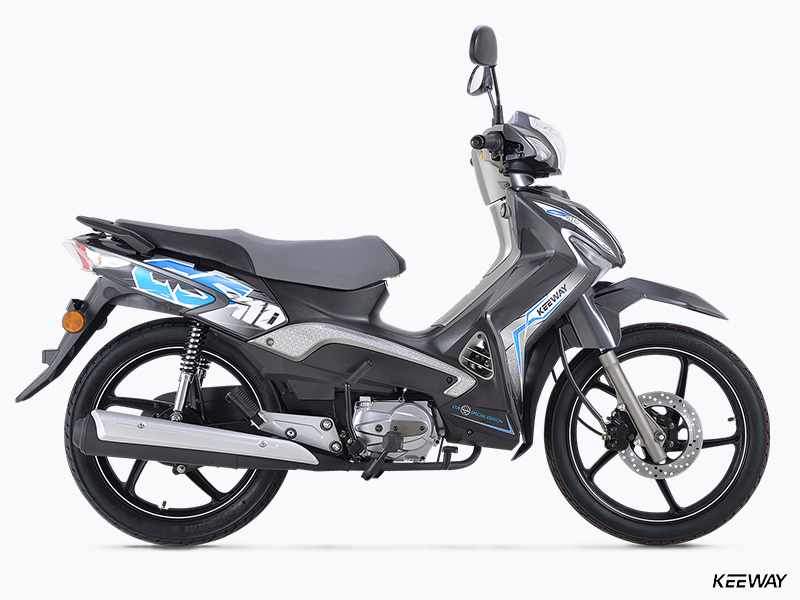 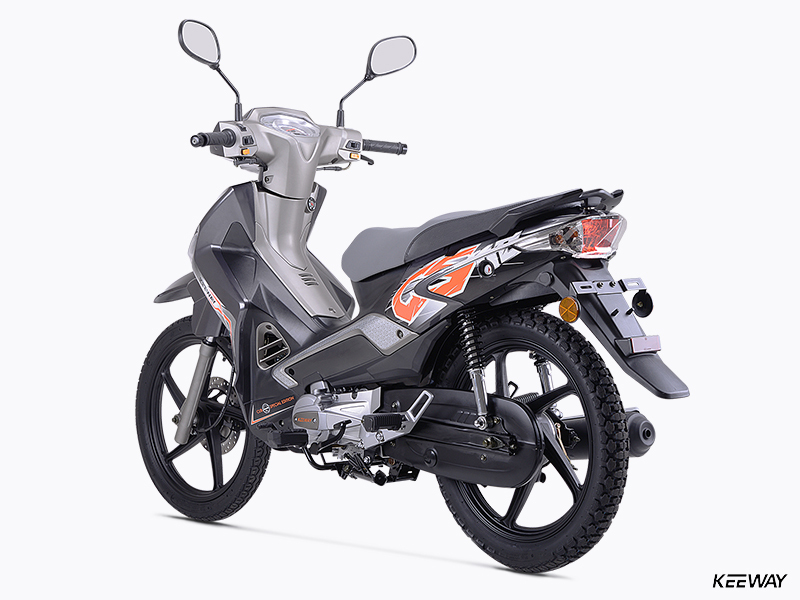 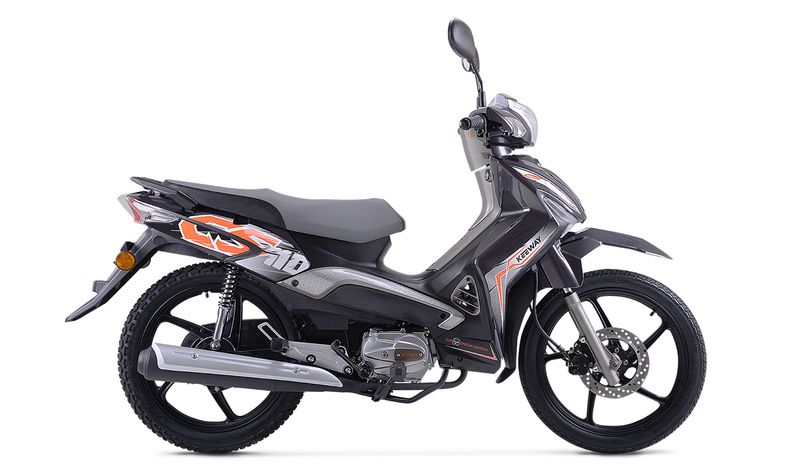 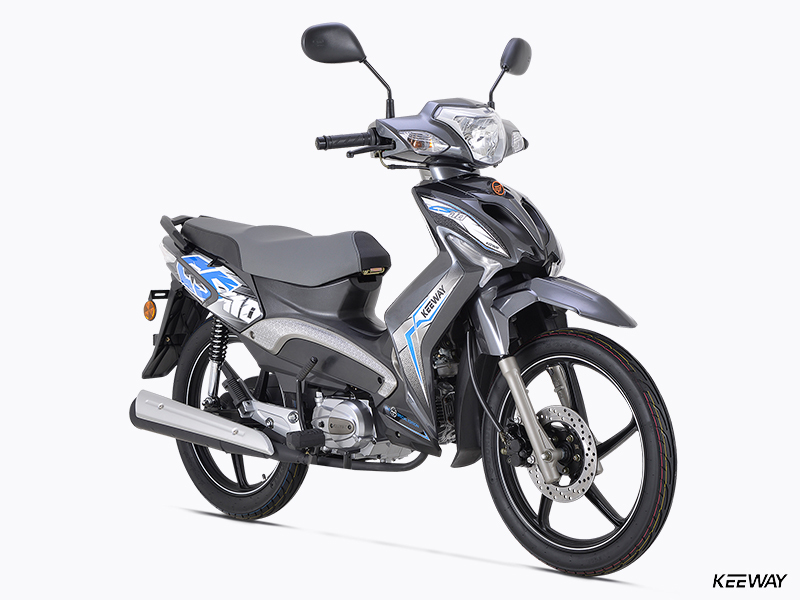 The CS 110’s air-cooled, single-overhead-cam four-stroke engine is ultra reliable and produces plenty of smooth, usable power – perfect for long working days or quick trips around town. 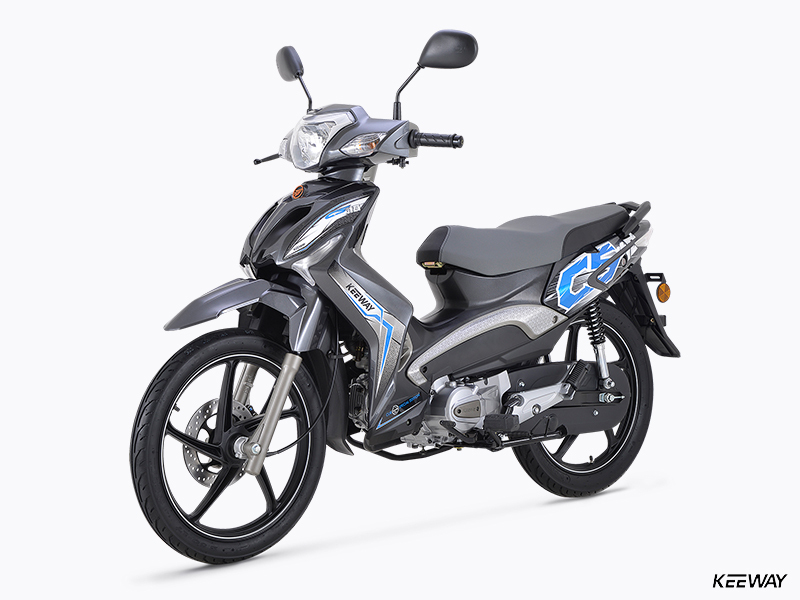 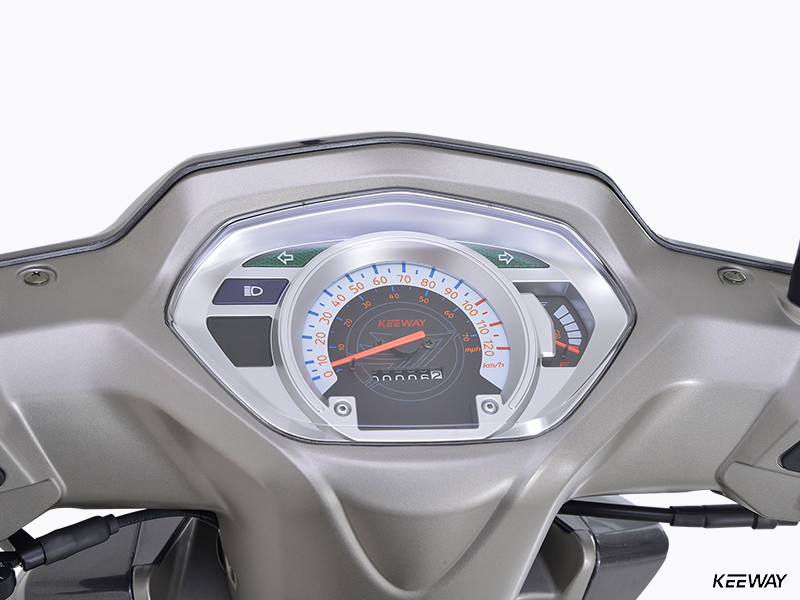 With a comfortable, two-place seat, roomy riding position, wide set mirrors and low-vibration ride, the CS 110 is a happy place to spend the day, working or playing. 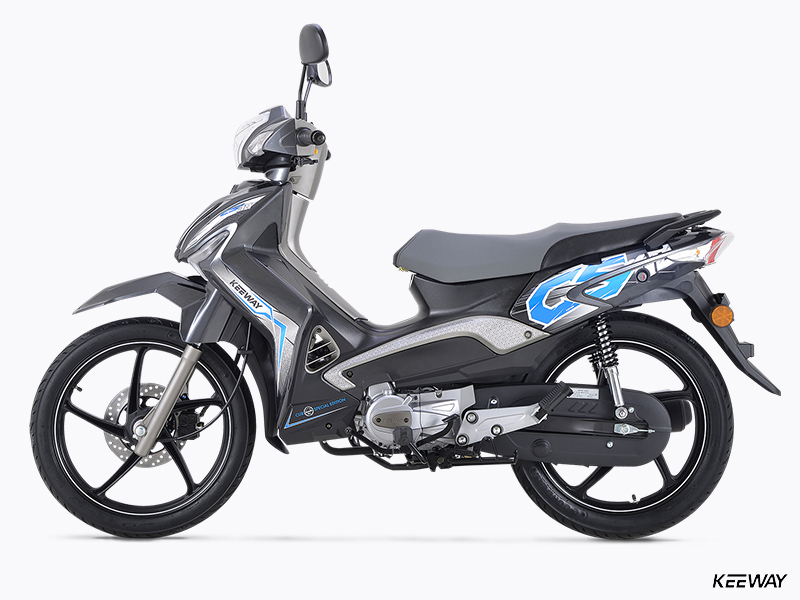 The CS offers ultra-lightweight cast-alloy wheels front and back, along with a powerful disc brake up front – perfect for strong and predicable stopping power. 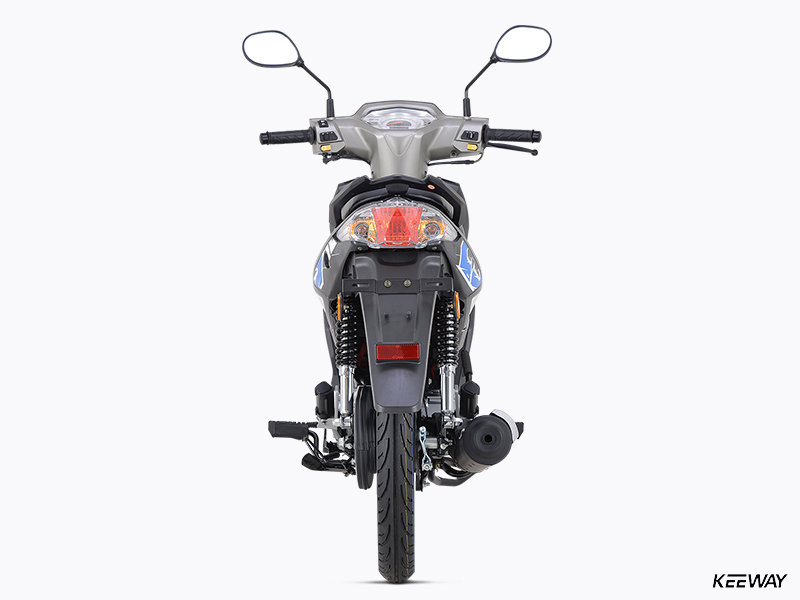 Twin shocks in back and a leading-axle telescopic fork up front give the CS 110 a plush and controlled ride – the perfect thing for long days in the saddle or a quick trip through the city.